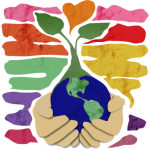 FSSD is celebrating Earth Day 2019! Join us by clicking here for more info. The National Prescription Drug Take-Back Day aims to provide a safe, convenient, and responsible means of disposing prescription drugs, while also educating the general public about the potential for abuse and medications. Join us by dropping off your unused drugs at the local agencies listed in the flyer. The District serves more than 135,000 residential, commercial and industrial customers in central Solano County, about 40 miles northeast of San Francisco. State and federal laws require all urbanized communities to collect and treat their domestic and industrial wastes. Proper treatment and disposal of sewage is essential to protect public health and prevent pollution of the environment. Nearly 400 million gallons of treated wastewater is reused each year for non-edible crop irrigation and dust control. There are 2 types of recycled water listed in Title 22 of the California code of regulations: RESTRICTED USE and UNRESTRICTED USE. The District currently produces RESTRICTED USE Secondary 23 Recycled water, which can be used for irrigation of non-food crops, as well as freeway landscaping and pasture. RESTRICTED USE Recycled Water can only be used at times and locations where public access is limited. The District is unable to distribute recycled water to the general public at this time, because our treatment facility is not designed to meet the water quality standards for unrestricted public use. Here at the District, we continue to investigate and implement approaches that conserve and protect our precious water resources. Treated wastewater is used to irrigate vegetation on the treatment plant site and the treated water we deliver to the Suisun Marsh protects and enhances the natural environment. Fairfield-Suisun Sewer District is proud to provide information about the critical role it plays in creating a clean and healthy environment.